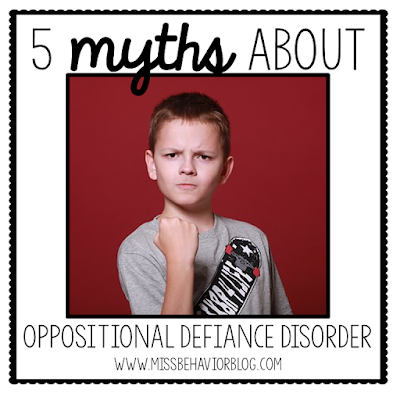 What's Oppositional Defiance Disorder (ODD)? 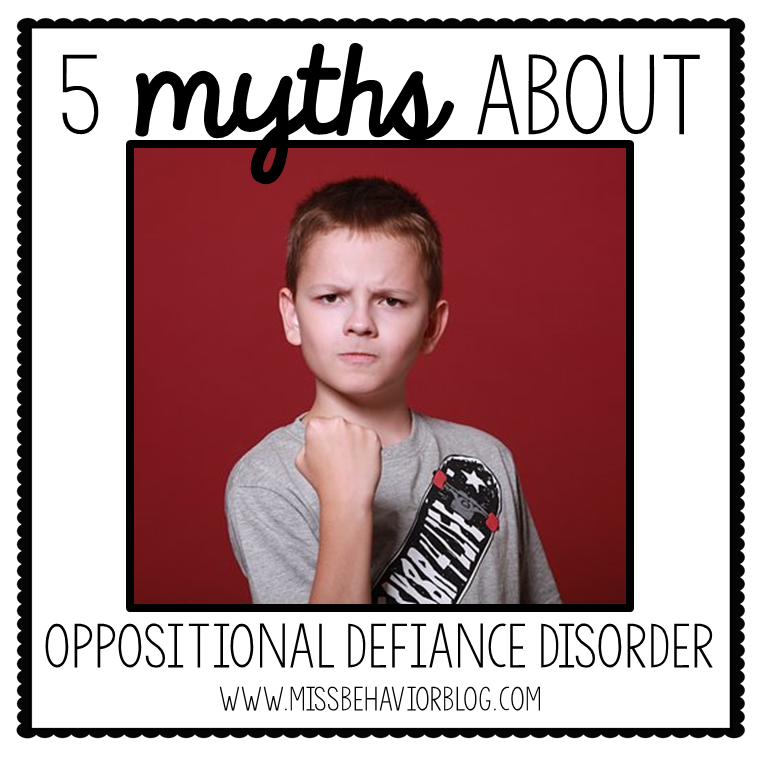 According to the DSM-5, ODD is "a pattern of angry/irritable mood, argumentative/defiant behavior, or vindictiveness lasting at least 6 months as evidenced by at least four symptoms from any of the following categories, and exhibited during interaction with at least one individual who is not a sibling." To read more about the symptoms and categories, check out the DSM-5 definition. So let's get to it - let's bust some common myths so we can better understand the needs of the students we serve. 1.) Every student who has ODD also has an IEP. Well, false. ODD isn't one of the 13 disability categories, so we can't say that every child with ODD has an IEP. Diagnoses like conduct disorder, ODD, bipolar, depression, etc. are clinical diagnoses and can only be made by specific clinical medical professionals. Just because a child has a clinical diagnoses and comes in with paperwork, this doesn't necessarily mean that the child qualifies for an IEP. The school evaluation team will have to follow their process in order to determine if they are eligible under one of the 13 disability categories, which could potentially be emotional disability. Some students qualify for OHI (Other Health Impairment), a 504 Plan, but only a school eval team can actually made that decision. Check out my blog post about emotional disabilities. I LOVE this book - it taught me so much about how our brains work during certain elements of the dysregulation and self-regulation cycle, as well as the real difference between self control and self regulation. While I'm not crazy about the push for using "self-reg" as it's own system created by the author, I do love how it's all rooted in psych research and brain based learning theories. 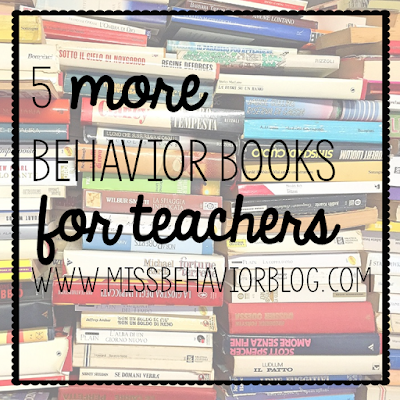 So good, and helpful to learn the science behind students behavior. 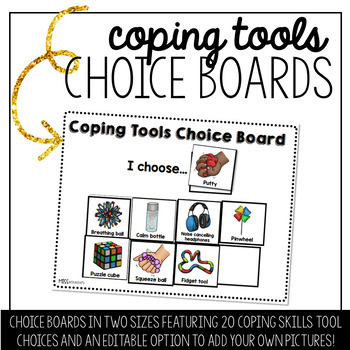 Coping skills are some of the greatest things we can teach our students - because you can't get too far if you don't have the ability to regulate your body and emotions! In school we often have a variety of tools for students to access to help them with regulation, but offering elements of choice for them can really make this system more effective!! Just the concept of choice making ALONE is evidence based - Shogren et. al, 2004 tells us that implementing choices throughout the school day is consistently effective in reducing the frequency of problem behaviors, and additionally promotes self determination most specifically in students with identified disabilities. So yeah, let's give our kiddos choices, shall we? Real photos matter - because they work. I love clip art, too! It's easy to find pictures of children depicting a variety of behaviors and emotions, and typically they're really clear and easy to identify (if you invest in quality clip art!). But what about our concrete thinkers - kids who need explicit instruction and plans for generalizing our lessons into REAL life? Photos can be so beneficial for our kids. 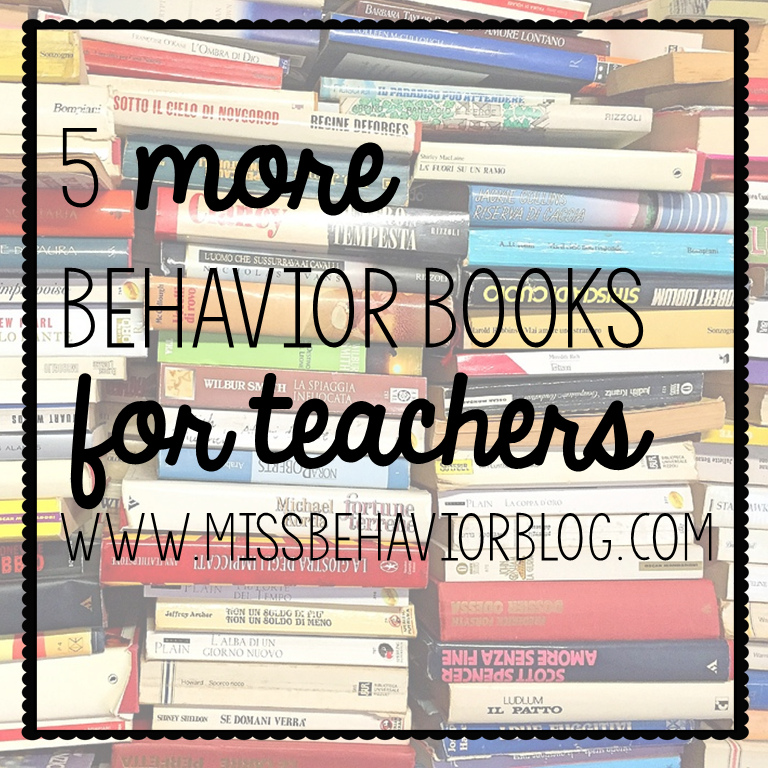 It's a primary source of sorts, which we all know is best practice with our lessons. So, what do we do with these photos?! Self-regulation is such a buzz word lately, but what about CO-regulation? Arguably, it's the first step to actually teaching self-regulation. 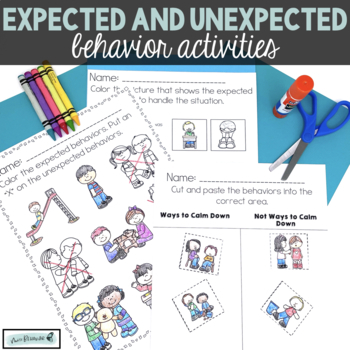 If you haven't been co-regulating with your students and you're finding that they struggle to employ self-regulation strategies, this might be the missing piece! Self-regulation is the "conscious control of thoughts, feelings, and behaviors" (McClellan and Tominey, 2014). I mean, that's a LOT to ask of kids, especially those who have experienced childhood trauma which has disrupted their brain pathways, and/or have diagnosed disabilities. As an adult who did not experience childhood trauma and is neurotypical, I struggle with self-regulation. It's important to remember that it's a skill we're constantly developing, and that it's tricky. So when we hope children will begin to self-regulate, we often want them to independently ask for a break where they'll start using appropriate coping skills like deep breathing, stretches, coloring, or journaling. We teach them when they're at their baseline, they can exhibit the skills when they're calm, but when things get real, they often can't reach for the skills they've been practicing, and they continue to escalate. What now? !